Fatah leader Nabil Shaath says PA Chairman will wage a "political war" against Israel if his latest UN move is rejected. 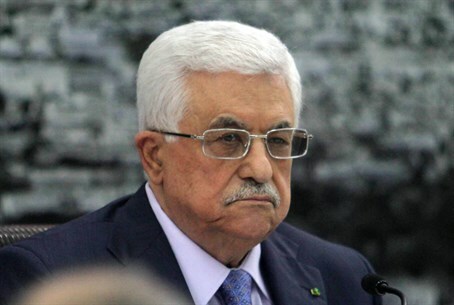 Palestinian Authority (PA) Chairman Mahmoud Abbas is threatening a "political war" on Israel. Fatah leader Nabil Shaath told the PA-based Ma'an news agency on Sunday that this “political war” will begin if there is a negative response to Abbas’s steps at the United Nations. "This is the last chance for the world to accept the resolution that is currently being prepared for at the Security Council," Shaath told Ma'an. If the U.S. vetoes the resolution as expected, Abbas will give the green light for "the war of international boycott of Israel" and hold it accountable at the International Criminal Court, Shaath declared. Abbas has announced his intention to lobby the United Nations to set a deadline for Israel to withdraw from Judea and Samaria, a unilateral move which is in direct violation of the Oslo Accords. The move has received the backing of the 57-nation Organization of Islamic Cooperation (OIC). In 2012, the PA unilaterally turned to the United Nations and received recognition as a non-member observer state by the General Assembly. Since then, the PA has threatened several times that if peace talks fail, it would turn to international institutions and seek to sue Israel in the International Criminal Court. In April, the PA requested to join 15 international agencies in breach of the conditions of the peace talks that were going on with Israel at that time. In response, Israel cancelled the fourth terrorist release "gesture" and subsequently pulled out of the talks altogether, after the PA signed a unity pact with Hamas.